Tax season is here and it’s the time where millions of people get “money back.” Although we haven’t always gotten money back for our tax refund, it’s been nice when we have. If you will be getting a tax refund this year, it only makes sense to put it to work for you. 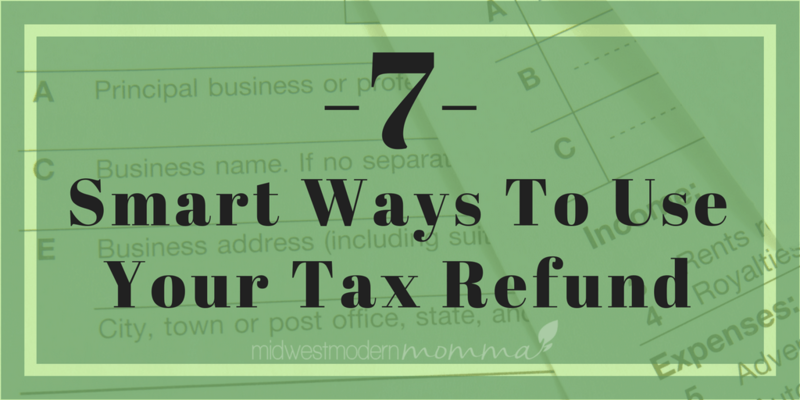 Here are seven ways to use your tax refund wisely. 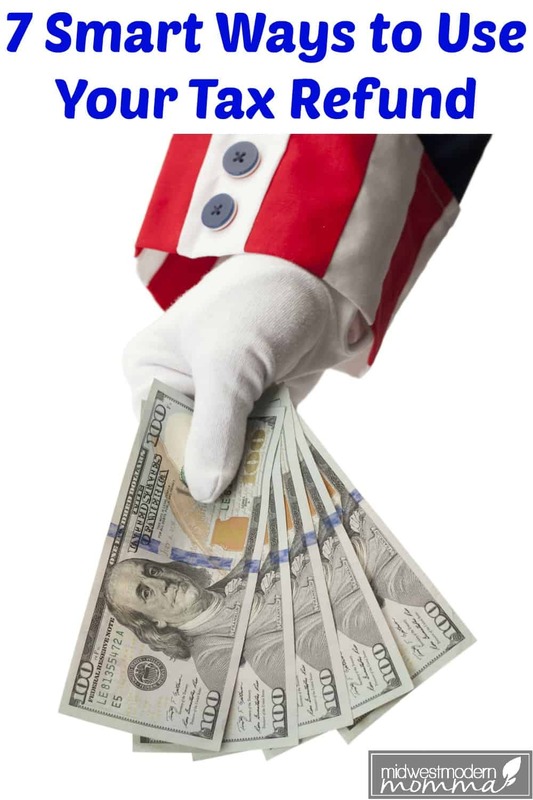 Everyone loves that big tax refund check every year and you should always try to get back every penny you can, but it's important to remember this is YOUR money that Uncle Sam borrowed from you throughout the year. I highly recommend using the IRS Withholding Calculator once or twice a year to make sure you aren't paying in too little resulting in owing the IRS money at tax time or paying in too much, giving the government an interest free loan when you could have been putting your money to work for you all year long! If you do get back a refund, it's important to remember it isn't free money and not go shopping crazy. Look at your budget for the last few months to help you figure out where it would be most helpful for you to put your tax refund and check out the 7 ways I recommend spending it below. One of the best ways to use your tax refund is to stock up on meat. Buying large portions of meat can be really expensive, so using your tax refund is smart. You can also tend to find meat that is grass fed a lot easier when you buy in bulk. Because you’re buying from a small time farmer or at least a farmer that has a different focus than bigger corporate owned farms. One of the biggest complaints of homeowners is that they can’t afford for emergencies to happen to their home. Imagine having a little nest egg in place for when you need it. A tax refund is the perfect opportunity to create an emergency fund for your house. I recommend a minimum of $500 for renters and at least $1,000 for homeowners. Even the smallest repair can really add up. When my furnace went out, I spent over $300 with a “friends and family” discount to get it running, plus I grabbed a couple space heaters so my pets didn't freeze to death while the repairs were being done. Grocery bills can get expensive throughout the year. We’ve used our tax refund in the past to stock up on some major pantry items. Items like coconut oil, specialty flour, spices, and anything else we use a lot of throughout the year. I try to purchase some of our most expensive items because I know that can put a major damper on the grocery budget throughout the year. I oftentimes will use Amazon Prime Pantry or Netrition to stock up on some of those specialty items, while using our tax refund. That way I don’t even have to leave my house, but I’m still saving money and getting what I need. I have those genius ideas every once in a while. I can't stand having an unorganized area in my home, which is why I would totally recommend investing in getting your home organized with your tax refund. You can get some awesome organizational tools with your tax refund. Everything from closet organizers to totes can help you organize your home. And I think this would be a great investment because when your house is less crazy, you feel better and are more productive in life! Oh man, if there’s one smart way to use your tax refund, it would be to get your car up to par. No more putting around the rest of the year. Cars take a lot of money because of things like tires, oil changes, fluid, and anything else that could possibly go wrong. It wouldn’t hurt to spend your tax refund on making sure your car is running super well and will help save you from having to dip into your emergency fund later to deal with these things. There are always tons of things that pop up throughout the year financially. A sinking fund for those items could help out tremendously. For example, if you normally spend around $500 on Christmas, use part of your tax refund to get ahead. If your kid plays sports, put the amount needed for them to play away, until it’s needed. And last, but not least, if you struggle to pay your bills on time or just seem to never get ahead, paying ahead on your bills is smart. You can pay ahead on things like electricity. It just goes onto your account, sort of like a credit. If you don't want to pay them ahead, you could still put the money into a savings account and generate some interest until they are due. Utilizing your tax refund to the best of your ability is a smart move. What tips do you have for making the most of your tax refund?